For much of the its first hour, Sorry to Bother You is a sharply detailed, refreshingly adept satire that pokes fun at working-class aspirations and the various ways that the lower middle-class stops those aspirations from being successful. The sales floor at RegalView is used as a metaphor for those aspirations that remain stifled at every turn, while the management provide their workers with mixed messages and false assurances that success is only a few calls – or a positive attitude – away. Cassius’ eventual rise to the level of Power Caller serves as a further satirical swipe at the establishment’s exploitation and integration of talented individuals for its own nefarious purposes. It’s a little bit obvious, and borders on being a little trite in its execution, as are the problems it causes for Cassius with Detroit and his friends at work, but first-time writer/director Boots Riley gives the material a fresh enough reworking to offset any real concerns, and once the viewer has settled into the movie’s comfortable narrative groove, he introduces Cassius to WorryFree’s head honcho, Steve Lift (Hammer). And from there, the movie goes in a completely unexpected direction. As the poster has it, this is “something you need to see to believe”. What Riley has up his sleeve will either grab you and keep you watching thanks to the sheer lunatic audacity of it all, or it will make you say to yourself, “nope, that’s it, I’m out of here”. But it does put an entirely different spin on things, and is a completely original take on the lengths that corporations will go to to maximise profits while exploiting their workforce. 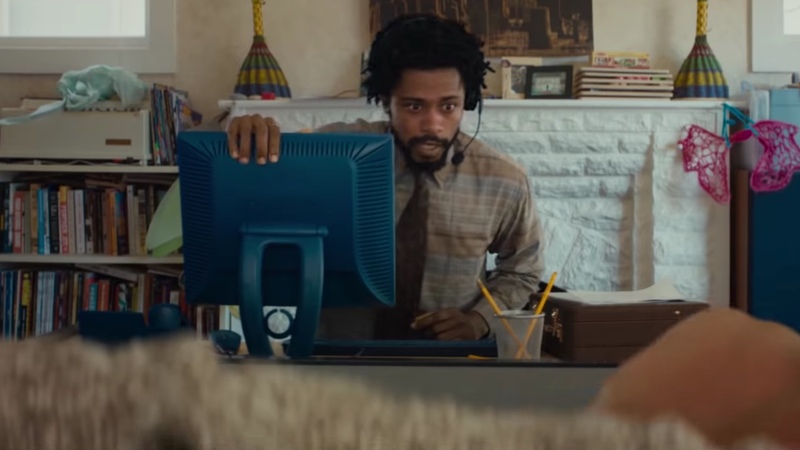 It’s a brave approach by Riley, but also one that makes Sorry to Bother You an unforgettable experience that really takes huge, confident strides forward in its second half, both in terms of the narrative, and in terms of the characters’ involvement. Cassius is torn between securing a good life for himself and the extent of the growing social responsibility he feels once he discovers what WorryFree is up to. Stanfield, whose potential as an actor has been obvious for a while now, grabs the role with both hands and gives a terrific performance that’s far more difficult than it seems because for most of the movie Cassius is more passive than aggressive. There’s terrific support too from Thompson as Detroit (whose choice of earrings is something to keep track of), and Hammer as Lift, the entrepreneur without a soul or a social conscience. 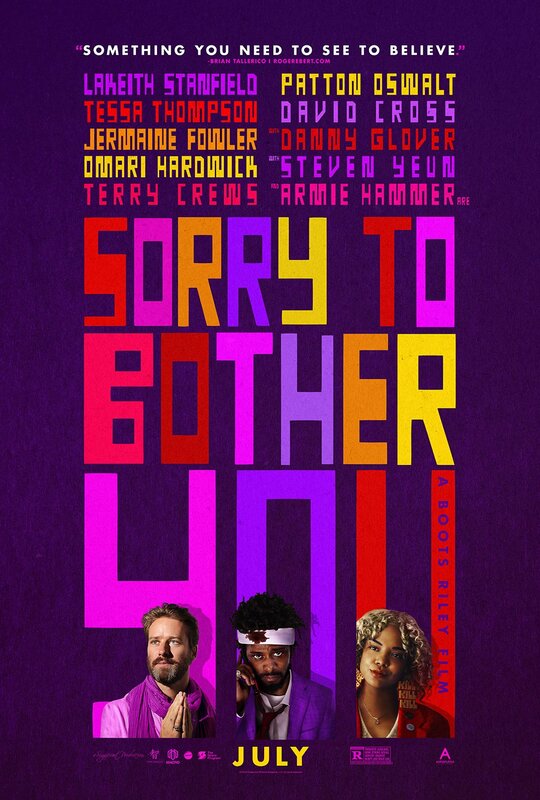 Rating: 8/10 – with an arresting visual style, and no shortage of humour, Sorry to Bother You is an audacious, bold, and confidently handled exposé of the perils of unchecked elitism and its association with new capitalism; it may get “weird” but by (mostly) playing it straight, the movie still makes a considerable impact, and is definitely not a movie that you’ll forget in a hurry – and that is very much a good thing. 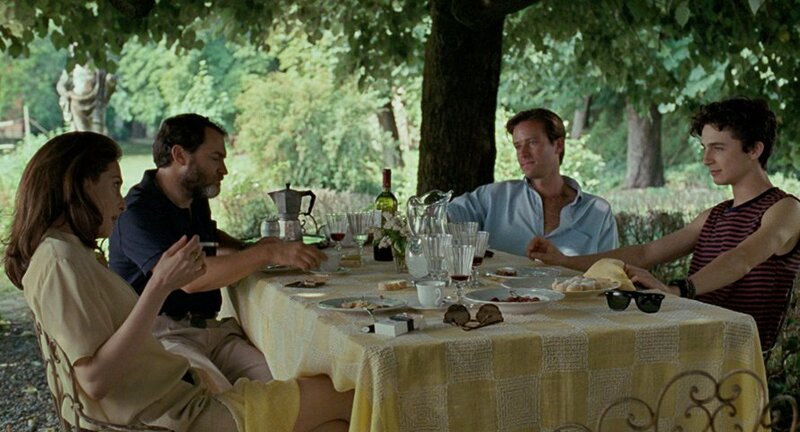 In this beautifully shot, written, directed, and acted adaptation of the novel by André Aciman, the setting is Northern Italy in the summer of 1983. 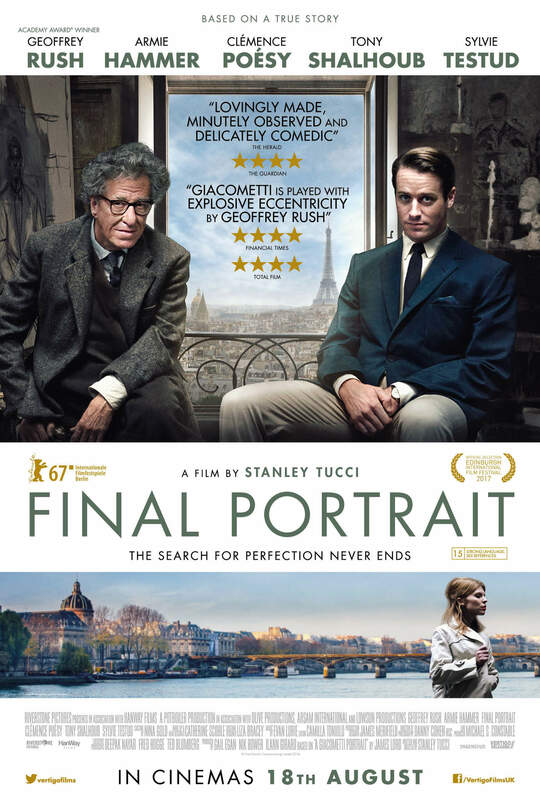 Oliver (Hammer), a graduate student of archaeology and Greco-Roman culture arrives at the home of Professor Perlman (Stuhlbarg) and his family – wife Annella (Casar) and son Elio (Chalamet) – to assist the professor for six weeks with his academic paperwork. Oliver is outgoing, confident and charming, and soon wins over everyone except for Elio. Elio is Oliver’s polar opposite: reserved, insular, unsure of himself, and envious of Oliver’s ebullient nature. But Elio finds himself unexpectedly attracted to Oliver, something that both frightens and excites him. Lacking in any kind of sexual experience at seventeen, and torn between his burgeoning feelings for Oliver as well as the attentions of Marzie (Garrel), a close friend, Elio tries to navigate the treacherous waters of first love, and the realities inherent in accepting feelings and emotions that are completely overwhelming. 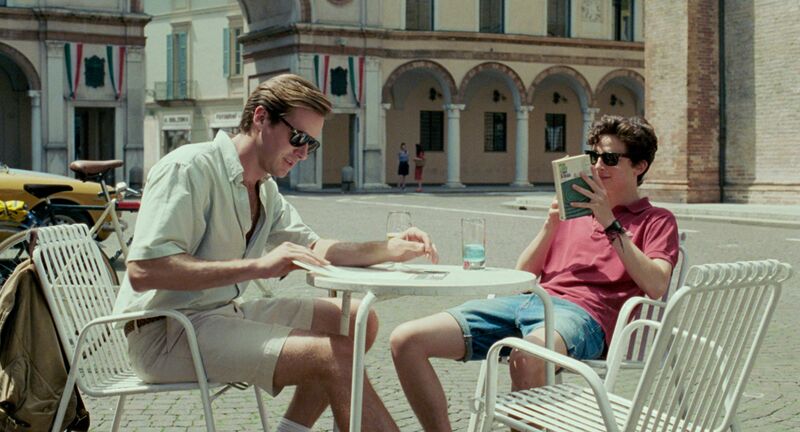 A project that has been in development since the movie’s main producers, Peter Spears and Howard Rosenman, saw an early galley of Aciman’s novel (his first) back in 2007, Call Me by Your Name is perhaps one of the most visually and emotionally ravishing movies of the year – or indeed any year. Shot in a variety of locations around Crema in Lombardy, this is a beautiful movie to watch, perfectly capturing the hazy, laidback existence of the Perlman family and their idyllic, rural home, and constantly providing the viewer with some absolutely magnificent imagery. 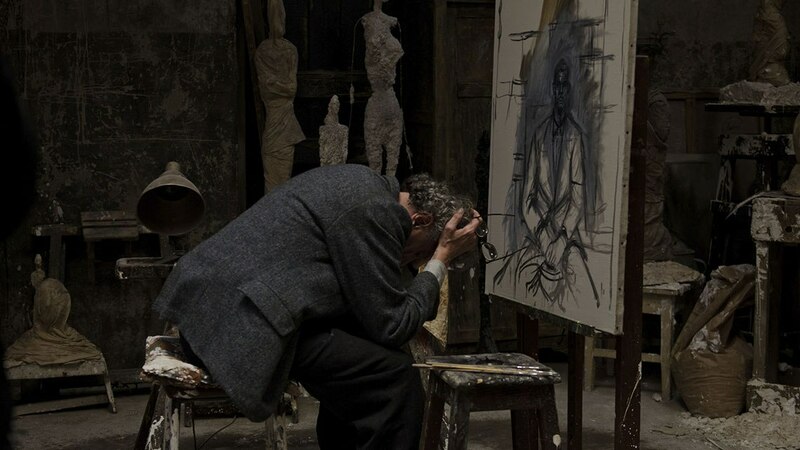 Director Luca Guadagnino, in collaboration with DoP Sayombhu Mukdeeprom, has made a movie that is almost painterly in its design and execution. Shots are so perfectly framed that the amount of information in any given scene is breathtaking. With such a wealth of detail on offer, it’s a triumph of cinematography yes, but also of production design, and art and set decoration. But this movie isn’t just about the world that it so richly creates. It’s an examination of the joys and cruelties associated with first love, that horrible wonderful period in a person’s life when the world seems turned upside down and all the surety and confidence they’ve accrued counts for nothing in the face of having to let down their defences and hope their hopes and feelings aren’t rejected wholesale. The movie addresses this directly in a scene where Annella reads from a German translation of Marguerite of Navarre’s Heptaméron, where the question is asked, “Is it better to speak or to die?” This is the dilemma Elio faces: does he reveal his feelings to Oliver, or does he remain silent and in doing so forgo the relationship he seeks. It’s a familiar plight, and one that the movie treats with an appropriate sympathy and sense of consideration. Elio’s uncertainty facilitates a kind of dance between the pair as they circle around each other, both providing hints for the other and neither of them trusting their instincts far enough to take that first, all-important step. Guadagnino ensures that the nature of this dance and the intricacy of its turns and swirls is played out in contrast to Elio’s relationship with Marzie, which is just as hesitant and just as confusing for Elio as his feelings for Oliver. Faced with opposing emotions and unable to reconcile them, Elio is equally unable to take responsibility for them. 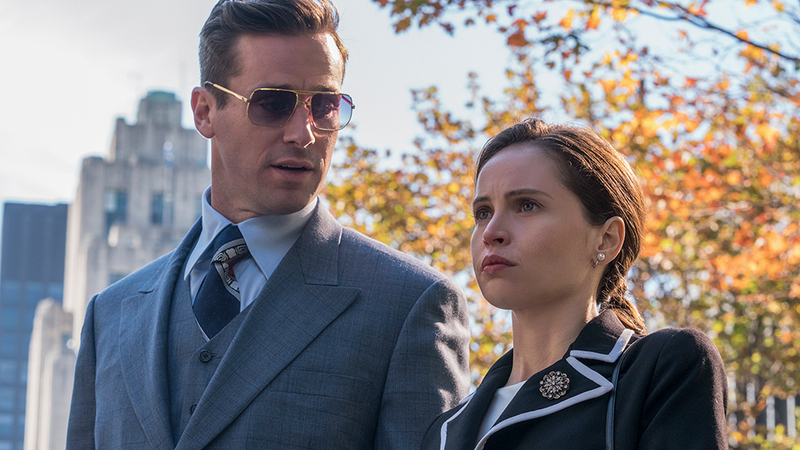 The script – a remarkable achievement courtesy of James Ivory – has him do what any confused and horny teenager would do, and indulge his desires wherever and however they might appear. It doesn’t lessen his sense of ambiguity about his sexuality, or his need for Oliver, but it does lead him to make some questionable decisions, and while there are moments where he appears unable to overcome his own culpability, the fact that his behaviour is so easily recognisable and understandable, allows the viewer to remain hopeful that things will work out for him. It helps that Ivory’s script and Guadagnino’s direction don’t pass judgment on any of the characters, and instead provides them with a cinematic safe haven for their troubles to play out. 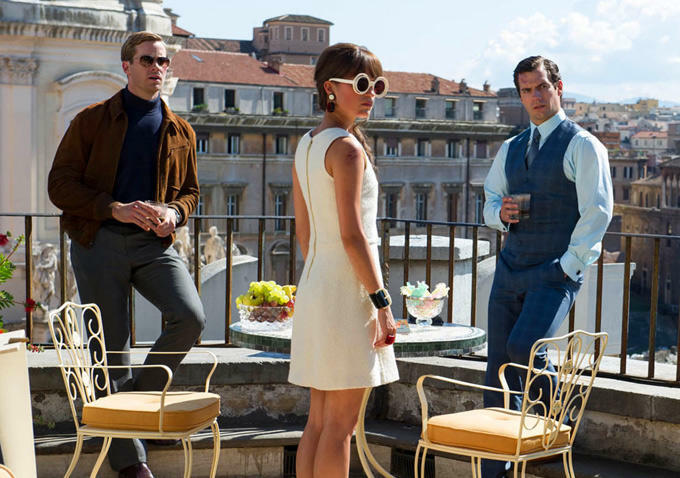 It’s also refreshing that the movie focuses on a gay relationship that runs its course – as inevitably it must do, Oliver is only there for six weeks – and there’s no threat or peril attached, either from Elio’s parents or any of the locals (though a handful of scenes set in Bergamo where Elio and Oliver spend some time together give the impression that something bad will happen at some point). 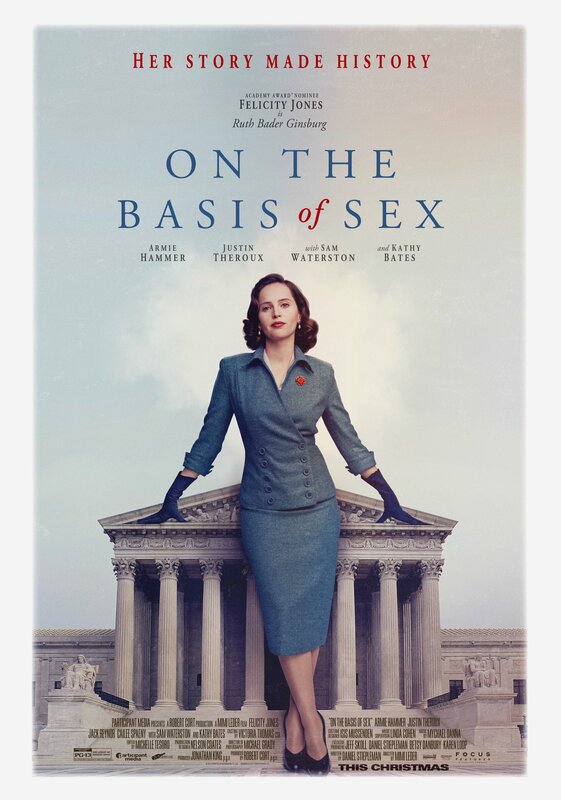 It’s worth noting that this is a movie where prejudice isn’t allowed to raise its unwelcome head at any time, and though you could argue that this doesn’t sound entirely realistic given the period, it’s still encouraging to have that particular hoary old plot device ignored completely. The dynamic between Elio and Oliver is what’s important, and once Elio has made his choice to either speak or die, the movie rightly focuses on them and the fledgling steps they take in their relationship. All of this, though, would be for nothing if it weren’t for the two mesmerising performances given by Hammer and Chalamet. For Hammer this is a major step up in his career, his portrayal of the apparently worldly-wise Oliver strengthened by his ability to show the character’s own insecurities and vulnerable side. There’s a scene where Oliver begins to have doubts about the longevity of his relationship with Elio, and the way in which Hammer expresses this uncertainty pulls at the heartstrings in a way that’s completely unexpected. Chalamet is equally as impressive as Elio, the camera lingering on him for long stretches, catching each fleeting emotion and sharply expressed moment of self-awareness. For Chalamet, the key scene is one that involves a peach, and it’s thanks to his skill as an actor that the scene works as incredibly well as it does; in the hands of some movie makers and actors, it would have killed the movie stone dead. Together, both actors support and encourage each other in their scenes, and the freedom they exhibit is hugely impressive. Again, without them, all the good work achieved in other areas would be for naught, and this would be a movie about which we would all be saying, “Ah well, good try.” That we’re not is a triumph for all concerned. 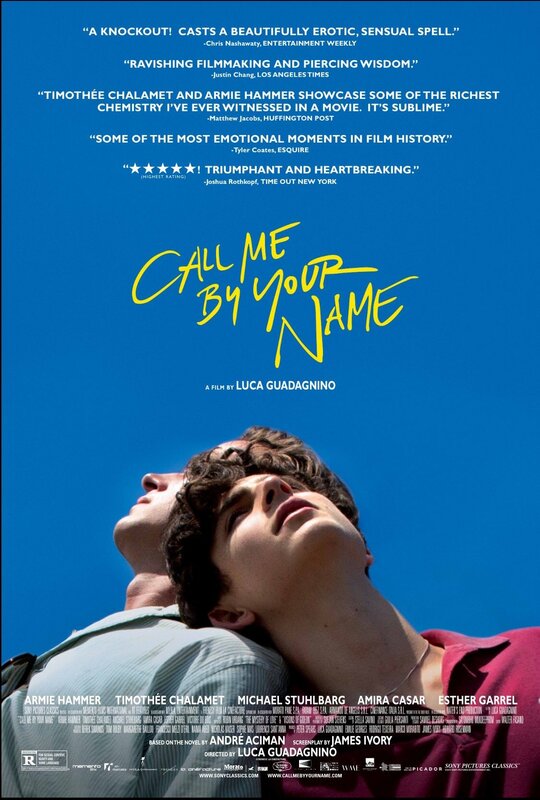 Rating: 9/10 – a superb adaptation of Aciman’s novel that is languid in pace yet deeply emotional in tone, Call Me by Your Name is also an amazingly affecting movie that grips like a thriller and which presents its characters as average human beings struggling with common human problems, but particularly, how to commit to someone else wholeheartedly; beautifully made on all levels, this is Guadagnino’s best movie yet, and one that resonates with, and rewards and reassures viewers by providing recognisable characters that we can all identify and sympathise with – because we’ve all been there ourselves. It’s 1978 (not that it really matters), and at an abandoned warehouse in Boston, two groups come together to conclude an arms deal. Chris (Murphy) and Frank (Smiley), are members of the IRA, and they’re accompanied by two local career criminals, Bernie (Cilenti) and Stevo (Riley). They’re attempting to buy M-16’s from arms dealer Vernon (Copley) and his associate, Martin (Ceesay); they in turn have back-up in the form of Harry (Reynor) and Gordon (Taylor). Also present are facilitators Justine (Larson), who has brought the two groups together, and Ord (Hammer) who is there to ensure the deal goes through without any problems. But as night follows day and action comedies demand conflict followed by murderous gunplay, the deal almost falls through when Vernon reveals a case containing AR-70’s and not the M-16’s Chris ordered. Ord helps pacify things and the deal goes ahead, with Chris accepting the guns and Vernon happy with his payment. But the inevitable fly in the ointment occurs when Stevo recognises Harry as the person who beat him up earlier over Stevo’s treatment of Harry’s seventeen year old cousin. 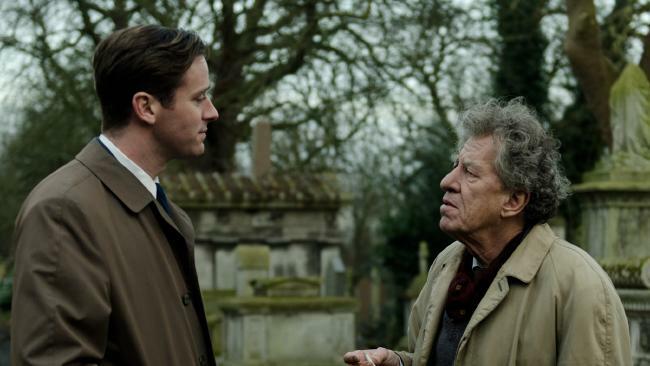 Harry sees him and is incensed, and the deal is in jeopardy again. Chris tells Stevo to apologise, but though he does, he can’t resist bragging about what he did to Harry’s cousin. Harry responds by shooting Stevo in the shoulder, and the next moment everybody is shooting at each other, and fanning out across the warehouse. What follows sees everybody shot and wounded in some way, but in particular it’s Martin who becomes everyone’s focus as he suffers a head wound that leaves him unconscious and lying next to the briefcase with the money inside it. Efforts are made to retrieve it on both sides, but it proves more difficult than anyone could have expected, and further injuries/wounds occur, leaving pretty much everyone struggling to stay alive – and when two further men turn up and shoot at them all, the whole situation goes from bad to worse to ridiculous. 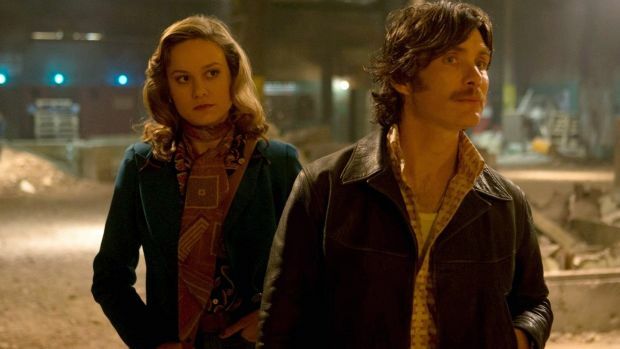 The Closing Night Gala at last year’s London Film Festival, Free Fire is a movie that further cements writer/director Ben Wheatley’s reputation, but does so in a way that will have some viewers wondering what all the fuss is about. 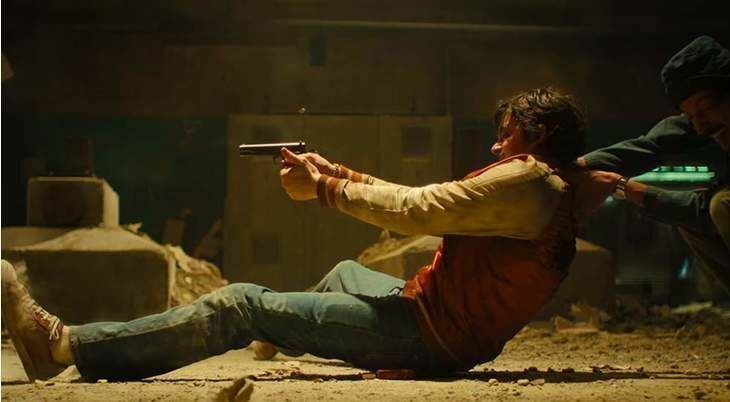 This doesn’t mean that Wheatley isn’t a talent to watch, or that his movies aren’t worth watching either, but Free Fire arrives in cinemas with a wealth of expectation behind it following its successfully received screenings at various festivals. Whether or not that level of expectation is warranted will depend on your acceptance of Wheatley being a movie maker with a distinctive visual style, and something to say. 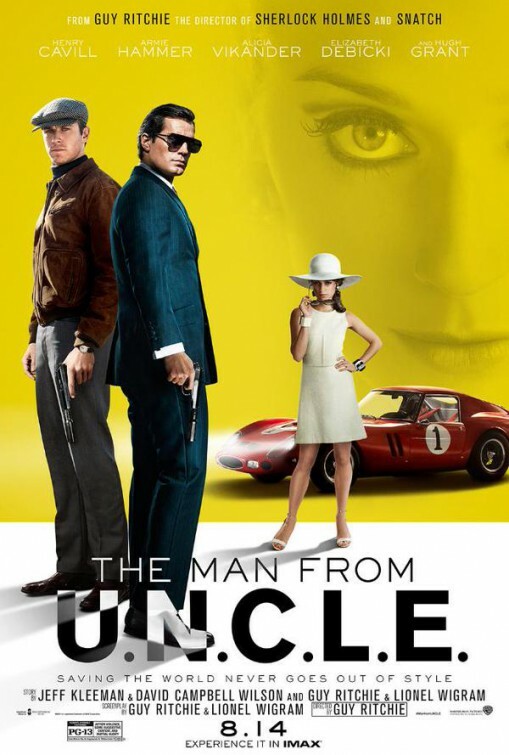 Because even though Free Fire is certainly distinctive, and directed with no small amount of flair by Wheatley, it’s not his most accomplished movie to date, and after the misfire that was High-Rise (2015), prompts the question, When will he make another movie that really confirms the talent we all know he has? 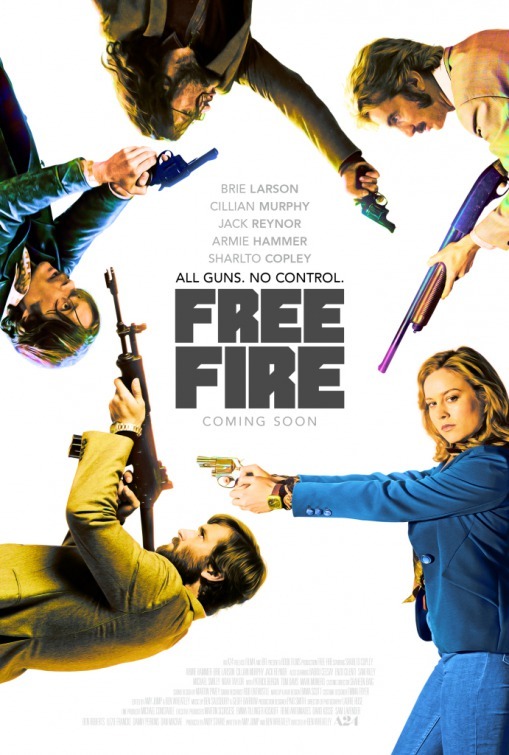 This isn’t to say that Free Fire is necessarily a bad movie, but it does appear to have been made with the intention of being entertaining, and it’s here that the movie gives cause for concern. For a director of Wheatley’s talent and rising stature, Free Fire feels too forced too often to be effective, or win over its audience. Some viewers, if they take the movie at face value, will find it enjoyable, but in a kind of loud, dumb fun kind of way. Wheatley, and his co-writer (and wife) Amy Jump, have gone for a crowd-pleasing black comedy action thriller that focuses heavily on the “fun” to be had from seeing a group of villainous individuals shoot each other, and which then sits back and watches them suffer even further. This is where the notion that the movie is “fun” loses traction the longer the movie goes on. By letting all of its motley assortment of characters drag themselves around to less and less dramatic effect – Stevo’s demise is a particular example, a moment that makes no sense given his capacity thus far for survival – the problem of what to do with them all becomes increasingly more difficult for Wheatley to solve. In the end, he signposts the movie’s final scene, attempts to wrap it all up neatly, and confirms that any originality has been spent long before. For all its likeability, the movie hopes to beguile its audience into thinking that it’s fresh, sharp and funny, and though it does raise a smile quite often, this is more to do with the performances than Wheatley and Jump’s script. Once the action and the shooting begins, some viewers will be left wondering who’s shooting and wounding who, and why co-writers Wheatley and Jump couldn’t have hired someone other than themselves to edit the movie. In the initial melee, it’s hard to work out just exactly what’s going on, and while it may serve to highlight the chaotic nature of the action, the spacing and the staging of the various protagonists isn’t made clear enough for viewers to accurately gauge where everyone is and how anyone can shoot anyone else. As a result, characters are hit – some more than once – and often it seems as if it’s the random choice of the screenplay. The effect this has is to distance the viewer from what’s happening – and to whom – and to reduce the characters to little more than that of ducks in a shooting gallery. Thankfully, the cast know what they’re doing, from Copley’s quick to take offence arms dealer, to Hammer’s smooth-talking facilitator, to Riley’s drug-addled liability. As the lone female in the cast, Larson quickly becomes “one of the lads” as Justine has no option but to fight for her own survival just like everyone else. Strangely though, it’s Murphy’s IRA man who is the movie’s nominal hero, but the movie doesn’t do anything with this, and like its period setting, lacks any relevance to the action. But then relevance doesn’t appear to be in Wheatley’s remit. Instead, he wants to bludgeon us with a movie whose ambition is to be a wildly anarchic, blackly amusing thrill ride that will have audiences wincing and laughing in equal measure. He succeeds with the wincing, and occasionally with the laughing, but overall, this is dispiriting stuff from a director who can do so much more. Perhaps this is a movie Wheatley had to do in order to “get it out of his system”, and if so, then hopefully his next project will showcase his real talents as a movie maker. 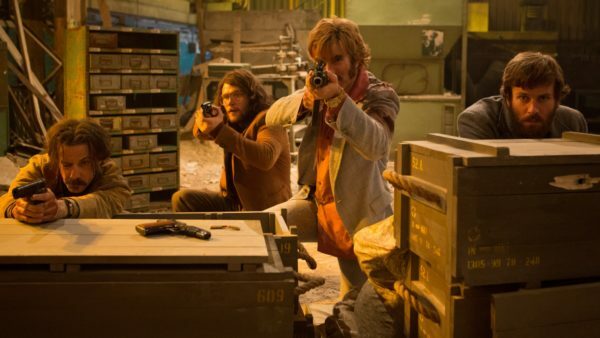 Rating: 6/10 – on a basic level, Free Fire is a movie that will attract a lot of fans, and for some, reinforce their opinion of Wheatley’s skill as a director; however, even as a slice of depth-free entertainment, it fails to hit the mark fully, and stumbles too often in its execution to offer more than an occasionally diverting experience, leavened only by the occasional humorous twist, and an equally occasional sense of its own absurdity. 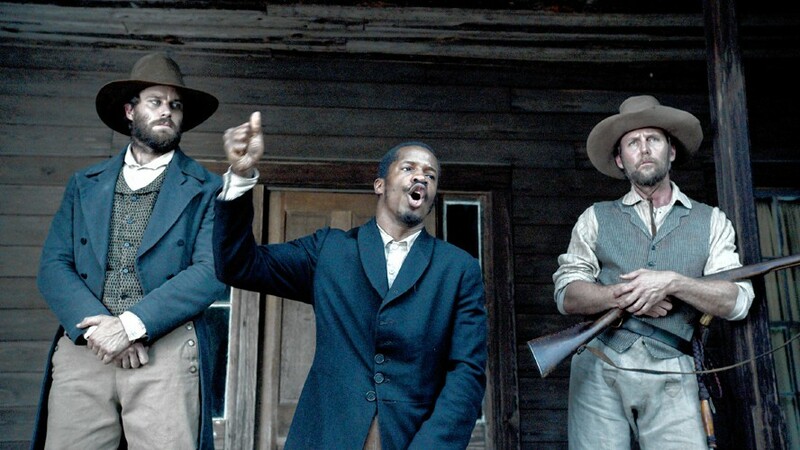 The Birth of a Nation reaches our screens trailing controversy and dismay by being an historical movie focusing on certain direct issues, but having to deal with other indirect issues as well (but more of these later). A retelling of the Southampton County, Virginia rebellion led by Nat Turner in 1831, in which a slave uprising started by Turner led to the deaths of around sixty-five white people – men, women and children – and over two hundred and fifty black people. Turner managed to recruit around seventy slaves and free men to his cause, but the rebellion was quashed after a couple of days. Turner avoided capture for over two months before he was discovered hiding in a field. He was convicted at trial and sentenced to be hanged. Those are the bare bones of a tale that director/writer/actor Nate Parker has chosen to make into The Birth of a Nation. For anyone unaware of the Southampton County rebellion, this movie will likely prove illuminating on a basic level, but Parker has chosen to make his own version of the rebellion, ignoring certain facts and events in order to make a more dramatic movie (as if a rebellion wasn’t dramatic enough). So, this isn’t an historically accurate movie, it’s an interpretation of the events that took place in Southampton County up to and including the rebellion. It’s important to make this point, “up front” as it were, because in doing so, Parker has actually managed to make a movie that lacks the impact the rebellion must have had at the time. We see Nat first as a child. He’s taken by his mother (Ellis) to a tribe of blacks living in the woods. They tell him that the birthmark he has means he’s destined to be a prophet. This sets the tone of the movie: that Nat will grow up into an adult whose destiny is to change… well, actually, we never know, because Parker never gets around to telling us. Of course, he’ll eventually fight for freedom and seek to overturn injustice, but as a young child he’s encouraged to read by his owner’s mother (Miller), and is treated with all appropriate fairness for the time and the place he’s a part of. Young Nat takes to the Bible, and from there we see him grow into a young man who is a credit to both himself and the family who remain his owners, and who are now embodied by his childhood friend, Samuel Turner (Hammer). So for the best part of an hour, Nat is well respected and regarded by Samuel and everyone around him, and life is good, despite the obvious limitations such as needing a written pass to travel outside the grounds of the Turner estate, and being struck repeatedly for offering a kindness to a white woman. He gains a reputation as a preacher, persuades Samuel to purchase a young woman, Cherry (King), who later becomes his wife, and manages to avoid raising the ire of local slave catcher, Cobb (Haley). But although Nat is well aware of the position that he and his fellow slaves are in, and the various ways that things can go wrong for them all, he lacks any will to do anything about it. It’s only when Nat is hired out as a preacher, and begins to see just how bad things are at other plantations, that he begins to rethink things. One particular incident, followed by the brutal assault of his wife by Cobb and his men, leads Nat to anger, and a desire for revenge against “the white man”. He gathers a number of other slaves, and they begin their rebellion by attacking Samuel and his household before heading to other parts of the county, killing indiscriminately as they go. It’s not long before they come face to face with Cobb and his men, and a fight to the death ensues. Nat manages to escape and goes into hiding. All this is pretty standard fare, with Parker portraying Turner as a man who turns his back on the society that’s treated him well enough until he begins to question that society more closely. Which actually makes the small matter of motivation a bit of a problem, because Parker the screenwriter doesn’t give Parker the actor anything to work with, other than a handful of Bible passages that he gets to deliver in an angry fashion, or, when he’s confronted by Cobb, as a defiant call to arms. Parker struggles in all departments to show us the anger and the passion behind Nat’s decision to rebel, or why he would descend so quickly and easily into violence. Yes, there’s the appalling treatment of slaves, yes, there’s the institutionalised racism of the times, and yes, there’s the personal injuries done to him and Cherry, but in Parker’s hands none of this adds up to Nat being the instigator of a rebellion. The change comes about too quickly, and as with many movies, this change appears to come about solely because the movie needs to move on. Against other movies such as 12 Years a Slave (2013) or A House Divided: Denmark Vesey’s Rebellion (1982), The Birth of a Nation – a title that doesn’t mean anything in the context of what happens in the movie itself – is too restrained in its approach to be entirely effective. Aside from one very disturbing scene involving a slave being force fed, Parker keeps everything on an even dramatic keel, with plot and story developments coming along when required, and all played out in a way that keeps the viewer at a distance. The look and feel of the movie owes a lot to the style and structure of Roots (1977), but without that series’ attention to character, or its narrative drive. Here, by the time Nat gets around to starting his rebellion, the average viewer will be glad to have gotten through all the sub-par dramatics that have gone before, and will be looking forward to the movie gaining some forward momentum. Performance-wise, it’s Parker’s movie, with the likes of Hammer (subdued surliness), Boone Jr (straggle-haired insouciance), Miller (pained resignation), Haley (gnarly aggression), and King (unfaltering sweetness) reduced to minor roles, and having the barest amount of depth or characterisation to work with. But it’s also Parker’s movie in terms of direction, and here he’s found wanting. And like so many other directors working from their own scripts, he’s not able to find solutions to the problems that one provides for the other. There are jarring moments where continuity is derailed (one involving Samuel will have audiences shaking their heads in confusion), moments where the pace of the movie slows to a crawl, and moments where Parker’s inexperience as a director leaves the movie avoiding any complexity in the story he’s telling. 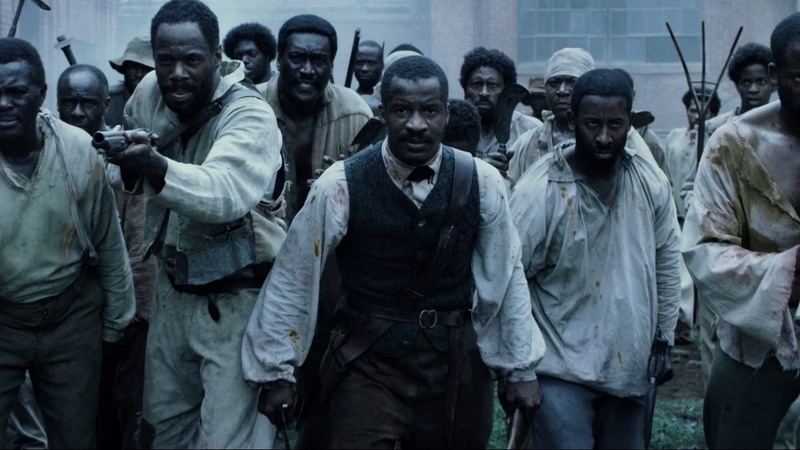 In the right hands, Nat Turner’s story could have been a powerful, impassioned examination of an event that had far-reaching effects on how slavery was regulated, and which could be said to have made things far worse for the slaves of the antebellum South. But for now we’ll have to make do with Nate Parker’s version of events, which strives to make a hero out of an ordinary man who advocated wholesale bloodshed as the drive for his rebellion, and who was found hiding in a hole covered by fence rails rather than nobly giving himself up as Parker shows here. And Parker, whose past has distracted too many people from focusing in the right direction, has made a movie that ultimately lacks cohesion, and in doing so, has possibly done a greater disservice to Turner’s legacy than anyone since those tumultuous days in Southampton County, Virginia. 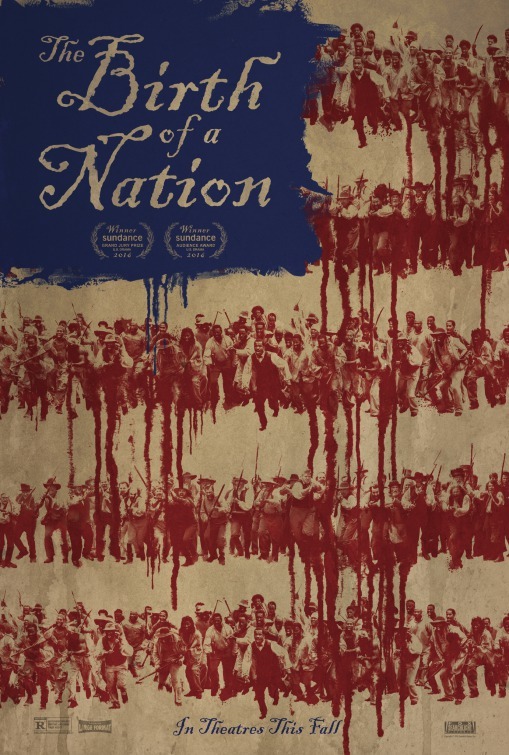 Rating: 4/10 – a broad, uninspired approach to an important moment in black history, The Birth of a Nation lacks finesse, complexity, and energy; Parker’s attempts at multi-tasking do the movie no favours, and there’s a stale air of tiredness about the whole thing that transmits itself to the viewer, all of which makes the movie a bit of a chore to sit through.